I was lucky enough to receive a sample of my very own blend of muesli from MuesliMixer, a company which allows you to create your own customised muesli from over 55 ingredients. 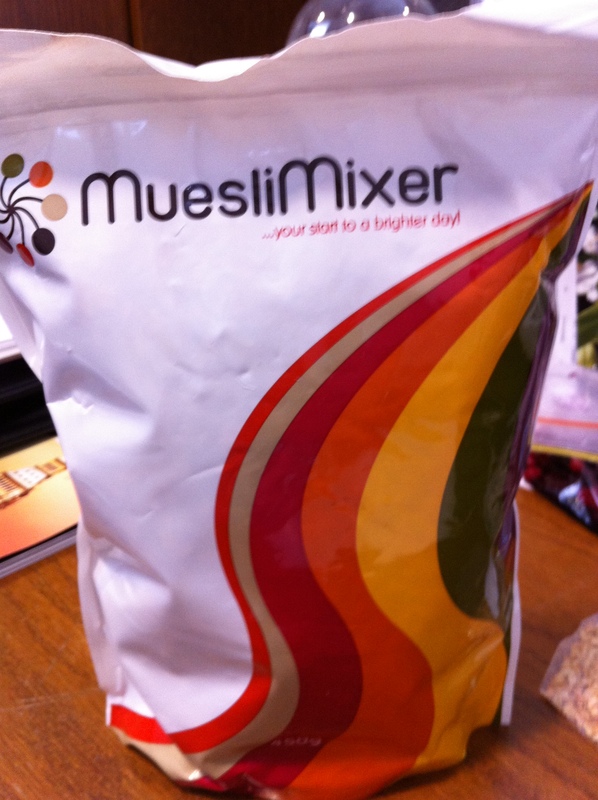 I had heard of MuesliMixer before but never got around to designing and ordering my own muesli. However with the lack of good gluten free muesli’s around this seemed like a great idea. 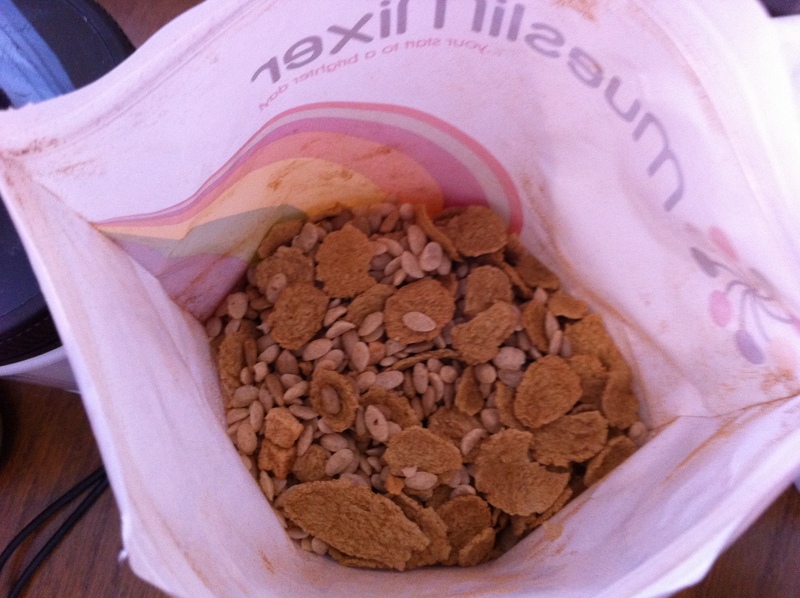 MuesliMixer has two types of gluten free bases, free and c’crunchy (rice puffs, rice flakes and sunflower seeds with a pinch of cinnamon) and free and tasty (rice flakes, puffed amaranth and buckwheat) and a number of glutenous options. I decided to go for the free and c’crunchy as I looooove cinnamon. There are a number of fruit, nuts and seeds and extra options (both gluten free and not) to add to your muesli base. 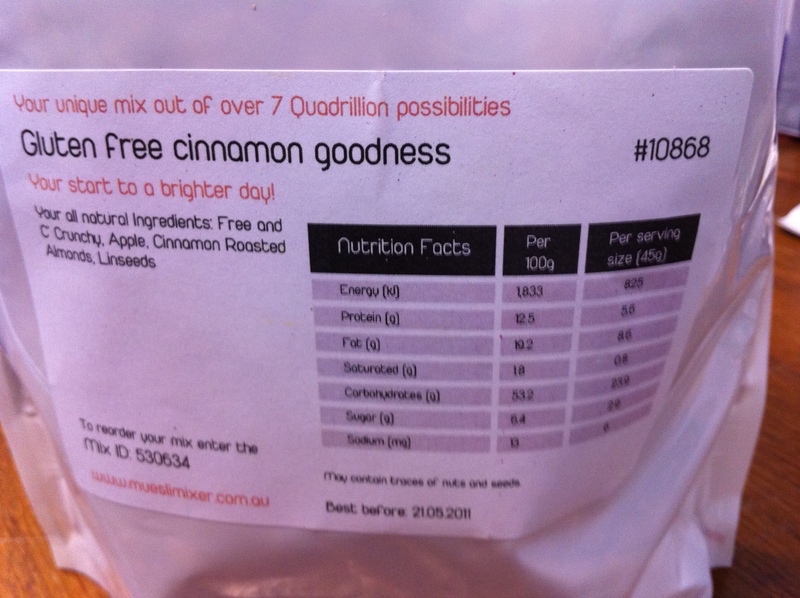 I choose apple, cinnamon roasted almonds (to continue on with the cinnamon theme) and linseeds for extra fibre. The process is so easy and at the ‘add to cart’ stage of the ordering process you even get the option to name your muesli. All up my muesli cost $12.02 + $5.49 shipping which makes it quite a lot more expensive than buying muesli off the shelf at the supermarket, however note that the gluten free muesli base is almost double the price of those glutenous bases. I was very impressed with the delivery time having put my order in on the 21st November and receiving my muesli on the 24th. 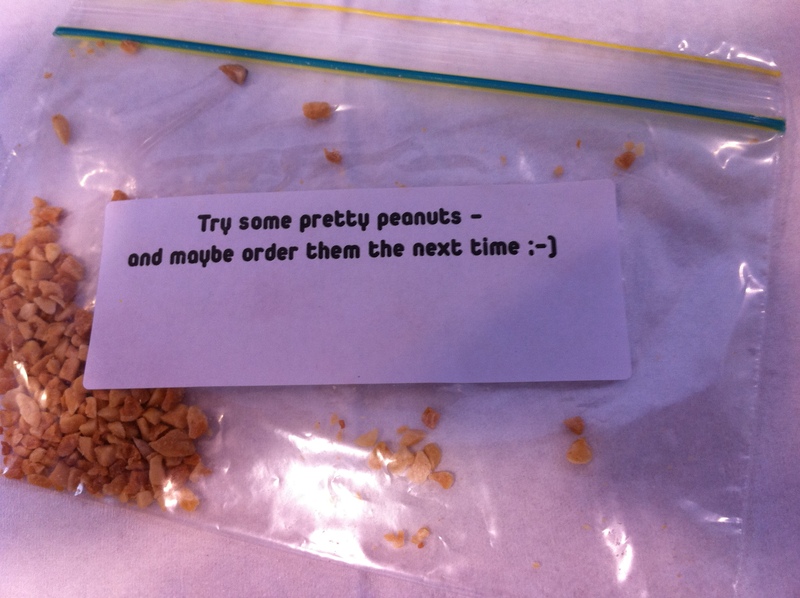 Opening up the package I found an additional bag of peanuts with the label ‘try some pretty peanuts – and maybe order them the next time :-)’. This is such a creative concept which I love! So the verdict on the taste of the muesli? Delicious! There was the perfect amount of cinnamon in the base mix and the cinnamon roasted almonds gave it that extra kick. The only thing that I would change is that next time I would order twice as many almonds because they taste so good! I am always on the look out for original and different presents for people and I think this would be a great idea especially for friends/family who are gluten intolerant (if you want to order someone some muesli for Christmas you can add a gift tag). The creative ideas from MuesliMixer don’t stop there! If you love the muesli you made and want to re-order they even give you a code on the back of your packet to do so. I love this concept and am excited to make other flavour combinations. What would you include in your personalised muesli? That is a great concept! Looks tasty.